Call us today for electrical service! Are you in need of an electrical service in your home or business in Laredo, TX? Rely on the licensed electrical contractors who have the knowledge and experience. Rely on Alpha Omega Electrical Services LLC. Master electrician, Hugo Rivera, and his team of certified electricians have been serving Laredo, TX and the surrounding areas for many years with quality electrical service, and has quickly become South Texas’ most trusted licensed electrical contractor. At Alpha Omega Electrical Services LLC, we have earned a well-deserved reputation of providing quality personal service, given by the most highly trained professional electricians in the industry. We believe our success is a direct reflection of the genuine personal care and attention that we deliver to our customers each and every day. At Alpha Omega Electrical Services LLC in Laredo, TX, we are concerned about the safety of our customers. Our team of electrical experts is licensed and fully insured, and undergo continuous year-round training so that our customers can find comfort in knowing that their project will be completed on time and on target by the best licensed electrical contractor in the industry. Residential * Commercial * Industrial * Indoor and Outdoor Wiring/Lighting * Landscape Lighting Major Appliances * New Construction * Ranch Services * AND MORE! An electrical project is something that should be performed by a professional electrician. Whether you are in need of simple rewiring, or you have a complex construction project, the professional electricians at Alpha Omega Electrical Services LLC are prepared to do the job safely and on time. When you are remodeling a kitchen or a bathroom it is important to have a licensed electrical contractor come and help you with the electrical portion of these remodels. There are certain codes that need to be followed to keep your house and everyone and everything in it protected. GIF plugs near sinks are just one of the many things that need to be done when you are remodeling. A licensed electrical contractor from Alpha Omega Electrical Services LLC can come out and discuss with you what needs to be done to stay in code. CCTV and security wiring AND MORE! Call our professional electrician today! Simple electrical issues can become dangerous if left unattended. At Alpha Omega Electrical Services LLC, our licensed electrical contractors are prepared to make any electrical repair, big or small. Our team of licensed electrical contractors is available after hours and on holidays to assist our residential and commercial clients with any electrical emergency. Alpha Omega Electrical Services LLC is your one-stop solution for repairs, maintenance, service, or installation of any type or size. We serve residential, commercial, and industrial clients in the Laredo, TX area. Alpha Omega Electrical is licensed and insured and can handle any of the electrical services you need, at a price you can afford. We can quickly upgrade your home, install a new ceiling fan, wire a swimming pool, or upgrade your circuit breaker panel. We can provide all of the electrical services you need. No job is too big or too small for us. The safety of our customers is our main concern. 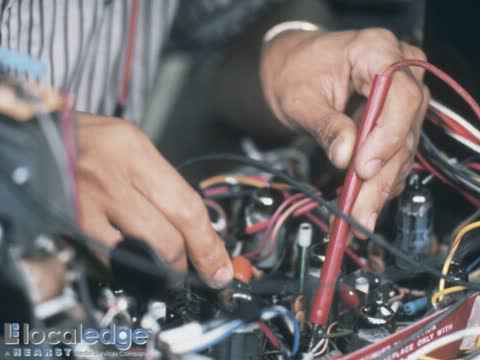 When it comes to electrical, you should never tinker with it unless you know what you are doing. If you need any help with electrical service, call our licensed electrical contractor today. Let us be your emergency electrical service provider! We provide quality residential and commercial electrical service. Our electricians are licensed and highly trained to provide services for: interior lighting, exterior lighting, landscape lighting, kitchen and bath renovations, rewiring, all electrical repairs, CCTV and security camera wiring, industrial and commercial electrical contracts, and more. CONTACT US TODAY for a project done on time and on target!